There were several important reports on the U.S. economy released this morning. 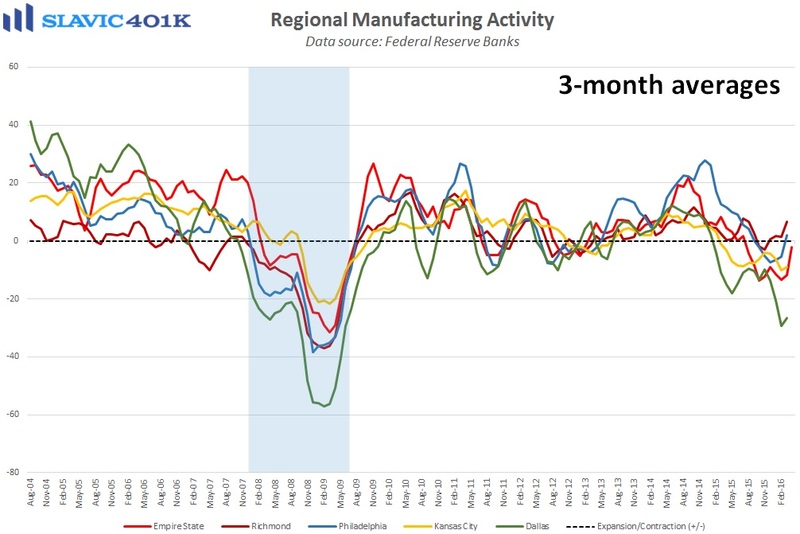 First, data from the Federal Reserve Bank of New York showed that manufacturing activity in the Northeast region of the country continued to rebound this month, with the general business conditions index jumping to 9.6 in April. 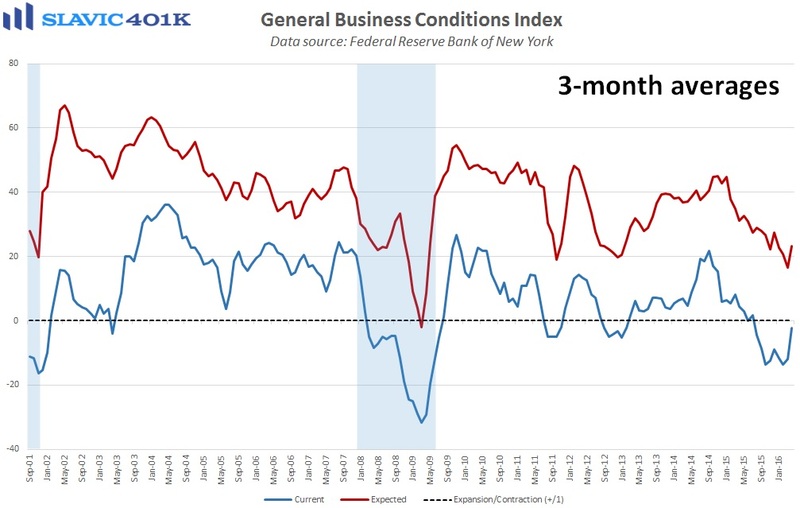 This is significantly better than economists had expected, the second positive (expansionary) reading in a row, and the highest print in more than a year. Under the hood, new orders, prices received, and total employment all improved in April but measures of shipments and the average employee workweek deteriorated slightly. Surveyed managers were found to be more optimistic about general business conditions over the next six months, and plans for capital expenditures and technology investment also increased. 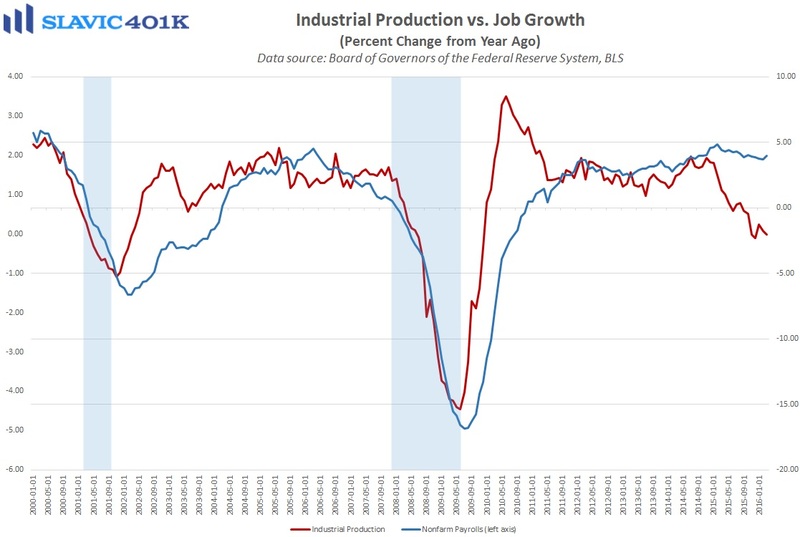 Next, a report from the Federal Reserve Board of Governors showed that U.S. industrial activity contracted in March, with total production falling by 0.6 percent. This is a much larger decline than expected and the prior month’s loss was revised to be worse than previously estimated. The headline weakness was driven by broad declines in the energy and automobile categories, and manufacturing, which makes up roughly 75 percent of all industrial production, fell by 0.3 percent. 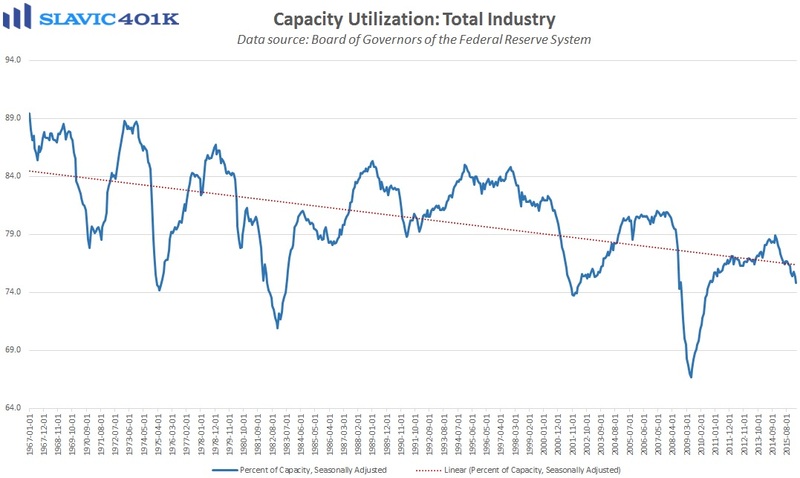 Capacity utilization, sometimes used as a leading indicator of inflation and potential output, slid to 74.8 percent last month, well below the long-term (1972–2015) average. 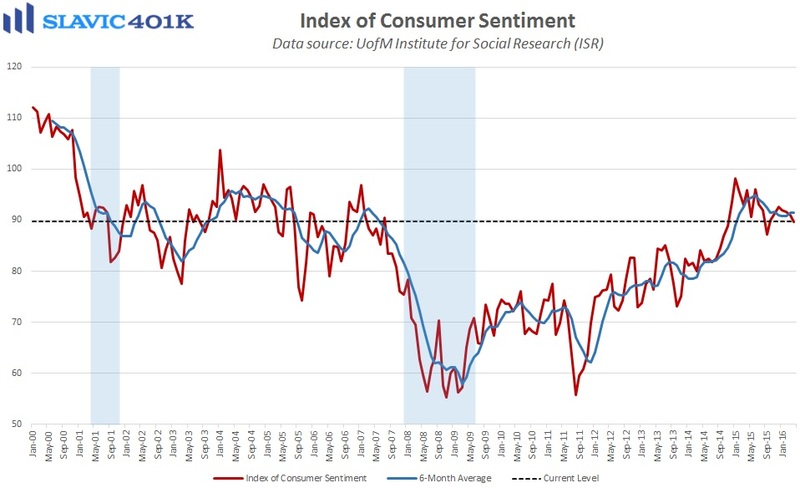 Elsewhere, the popular consumer sentiment index from the University of Michigan fell from 91.0 in March to 89.7 in the first half of April, the fourth month-over-month decline in a row and the lowest reading since September of last year. Americans’ views of both current and future conditions deteriorated in April, and Richard Curtin, director of the Michigan Survey of Consumers, added that “none of these [recent] declines indicate an impending recession, although concerns have risen about the resilience of consumers in the months ahead.” Surveyed consumers were found to be less optimistic about wage growth, inflation-adjusted income, and the overall U.S. economy. Roughly one in five respondents also said that “the election or government policy” could be a headwind for future economic growth.